Are you looking for the perfect pie recipe? 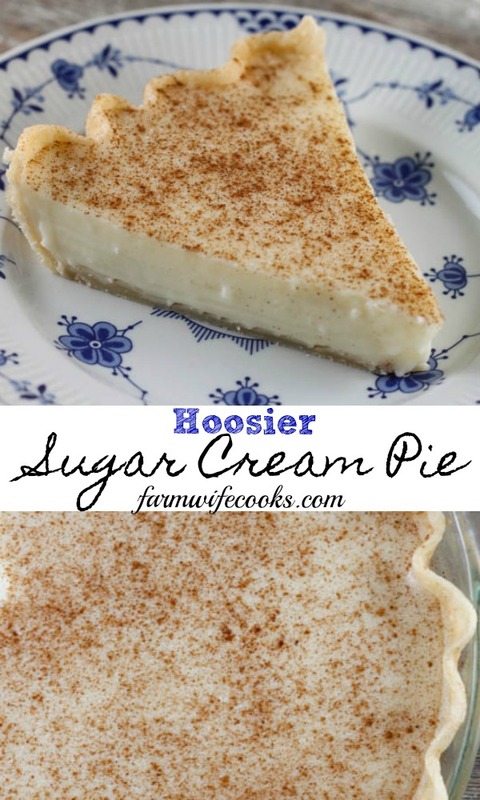 This Hoosier Sugar Cream Pie is a family favorite! This recipes comes from my husbands grandma. 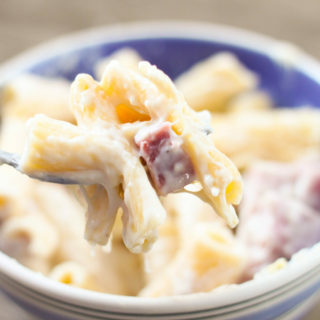 She passed away a couple years ago but every time I make this recipe I think of her! 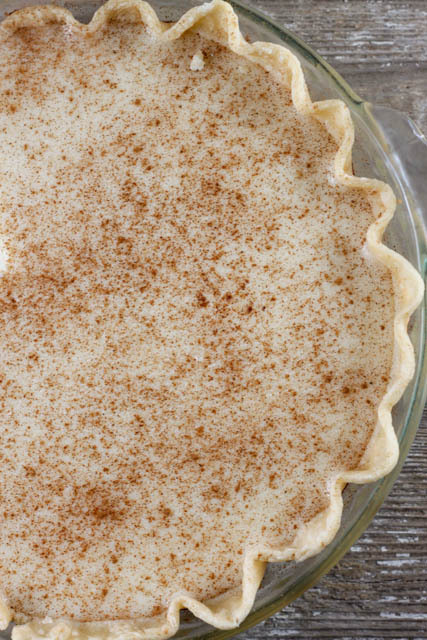 Sugar Cream Pie is the state pie of Indiana so we are pretty picky about this flavor of pie! There are a couple different ways to make sugar cream pies, on the stove top or in the pie shell. 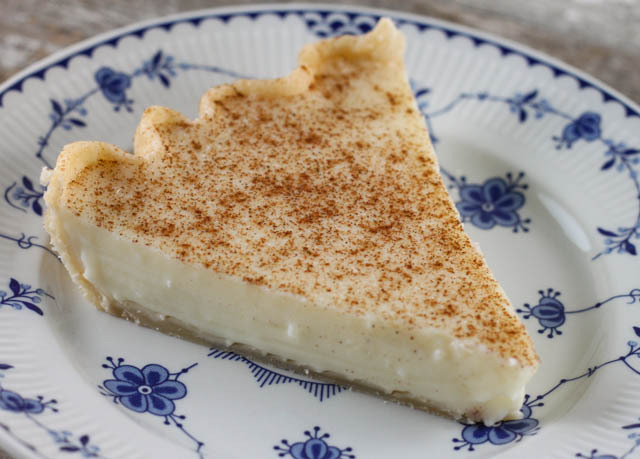 I have an old Amish Sugar Cream Pie recipe where you mix everything in the shell. 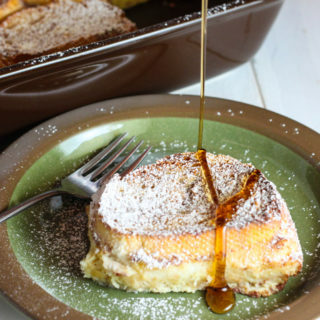 This recipe is made on the stove top and is made a lot like a pudding. My favorite part is licking the spoon while the custard is still warm, yummy! 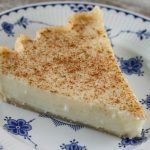 You will need to bake your shell for this recipe before you add the filling because it doesn’t go back in the oven like some sugar cream pie recipes do. Here is my favorite pie crust recipe. I have found it helps if you don’t grease your pie shell because when you do the crust tends to slide down while it is baking resulting in a less than perfect looking pie. But it will still taste the same! I use pie weights but you can also use beans. To scald the milk, heat it until just before it boils and then let cool. Some people chill their sugar cream pies and others don’t I think it is all personal preference. Melt the butter in a heavy saucepan over medium heat. Stir and add the sugar and cornstarch. Cook (continue to stir) over medium heat, until thick. Pour into a baked pie shell. Let the pie cool before slicing. I’m including this in my Gazette that goes out to subscribers this week. Can’t wait to try it! My mother had a stovetop recipe that never used eggs. Everyone still calls hers the best they have had. I’m from Indiana. Born, bred & lived her my entire life and have never heard of this pie before! And I’m a baker! Do you by any chance make Keeflies? Does it have to be refrigerated? It looks good & I would like to try it! You have been missing out! 🙂 I usually refrigerate it but I know people who don’t. No, I have never made Keeflies. Enjoy! 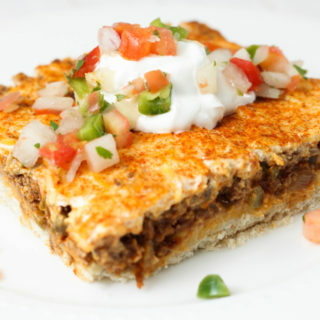 My Mom used to make something like this…Thank you so much for the recipe!!! That sounds yummy! I will have to look through my old cookbooks for a recipe!